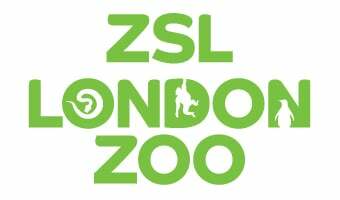 Please see the information and links below for all of the information you would need for a visit to ZSL London Zoo. Use this PowerPoint presentation to help you prepare your class for their visit to ZSL London Zoo. A map of the Zoo and helpful information for planning your school visit. Please see our complete guide on finding your way to the Zoo by public transport. Whether you're coming by tube, bus, car or even waterbus this page has all the information you need. From 23 October 2017, ZSL London Zoo’s car park will be reduced in size while essential Thames Water and HS2 works take place. There will be very limited coach parking facilities during this period, with the spaces we do have allocated on a first come, first served basis. Any additional coaches will be able to drop off only and will need to then park off site. ZSL is working to maximise use of the available space as we know coaches are important for our schools and group visitors. In the meantime, the latest coach parking information for London is available from Transport for London at https://tfl.gov.uk/info-for/coach-drivers/. Did you know that ZSL London Zoo is easily accessible by public transport? Camden Town underground station is only a short walk away, with Regent’s Park tube also within walking distance (c.20mins through the park). Alternatively, buses C2 (from Victoria via Oxford Circus and Great Portland Street) and 274 (via Marble Arch/Baker Street) stop near the zoo regularly. Find out the closest tube station and bus stops here or plan your journey at https://tfl.gov.uk/plan-a-journey/. We have a great range of activity sheets and resources to help pupils to make the most of their time in the Zoo. These sheets are designed to encourage observation and discussion and the full range can be downloaded from our online resources. Please support ZSL’s sustainability aims and print all resources double-sided and fold them in half to make a booklet. Like all zoos and wildlife parks, we have to operate under the Zoo Licensing Act. We are subject to an annual inspection by enforcing officers, who look at the way we take care of our animals and the safety of visitors and staff. If you have booked an education session for your group, please download the relevant pre-visit information for this session. This will enable you to prepare your class appropriately. Book a free 30 minute slot in our schools lunchroom. Time slots are for any age group visiting the Zoo and are free but must be booked in advance for the best chance of availability. Don’t worry if you forget, on the day of your visit you can enquire with our Schools Supervisor at the Main Entrance to see if any free slots are available. Booking your school trip to ZSL London Zoo has never been easier! We'll tell you how.